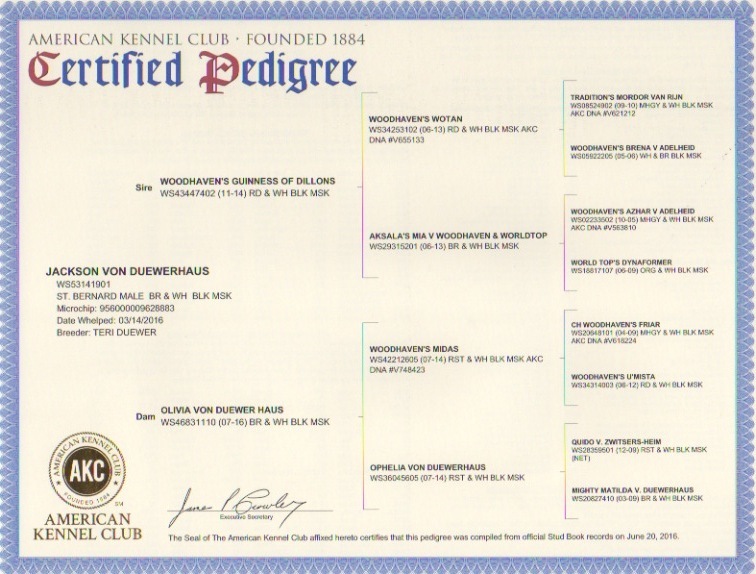 Click HERE to see Jackson's AKC Pedigree. Introducing "Jackson," our newest young male, sired by our phenomenal, but recently retired, Gus. At this point, we can only hope he is a much better natural breeder than his father. Jackson will be every bit as large as his father, with an absolutely magnificent head and body type. In mannerisms, he is not quite as "goofy" as his dad, which is both welcome and even a bit sad. 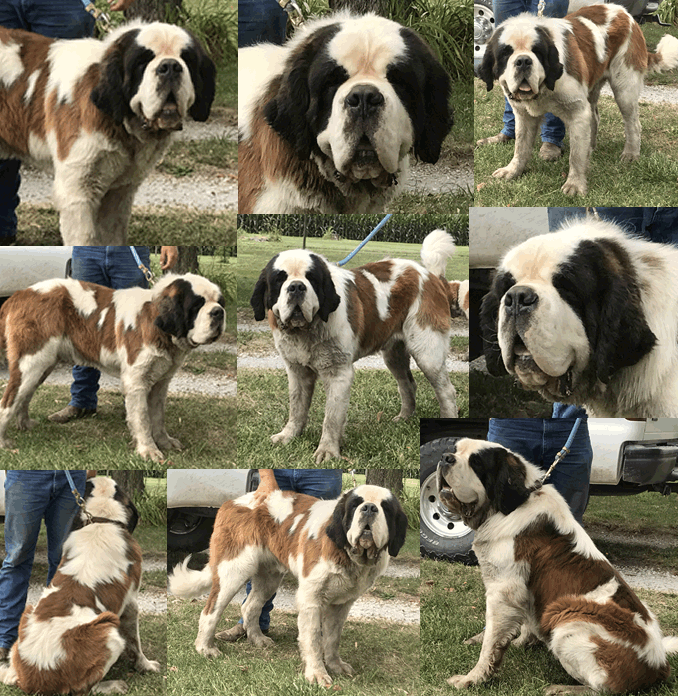 As expected because of his breeding, his temperament is as sweet and loving as we've ever had, which is of paramount importance in a sire. We look forward to seeing the litters he will sire for us in the future.